Put yourself under the spell of this coral-coloured wine made from 100% Aglianico del Vulture grapes, perfectly matured in the exceptional year of 2012. 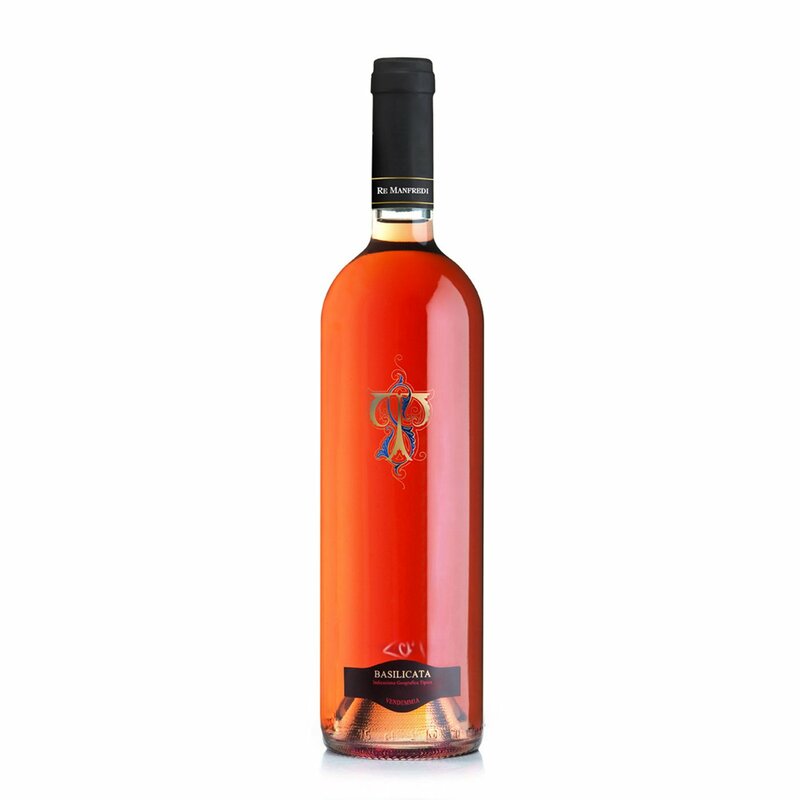 The Basilicata Rosato brings to the nose aromas like persimmon, raspberry, cherry, strawberry, vanilla and thyme, going on to unveil mineral flavours on the tongue and a spicy finish. Eataly suggests you try it with fish dishes, white meats, soups and soft cheeses. Terre degli Svevi: a winemaking company founded near Venosa, in the heart of the Region of Basilicata, a witness of history including the childhood of the Roman poet Horace. Its traditions are enclosed in the fine wines produced by the Re Manfredi winery, founded in 1998 in the wine zone of the Aglianico del Vulture DOC. This is the site of the innovative wine cellars featuring efficient modern vinification facilities and elegant barrel rooms where its wines are gracefully aged. When you sip a wine by Terre degli Svevi, you have the proof that you have chosen a product crafted with authentic passion and total respect for the environment.